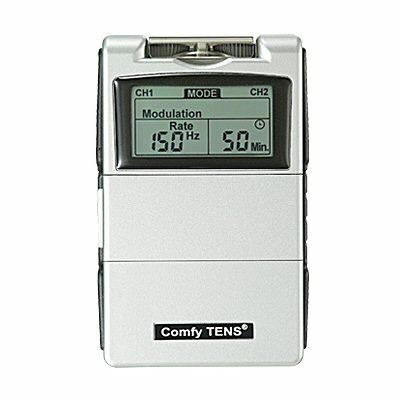 Comfy TENS,With a large LCD a flip top cover with five stimulation modes and adjustable pulse width, pulse rate plus a treatment timer.This Tens unit is best seller in the price range. 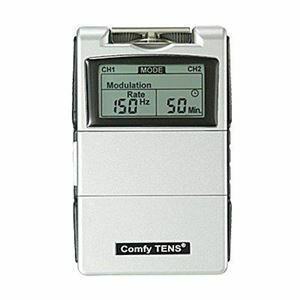 With a large LCD a flip top cover with five stimulation modes and adjustable pulse width, pulse rate plus a treatment timer.This Tens unit is best seller in the price range. ■Weight: 150 grams with battery. ■Timer: Adjustable, from 5 to 60 minutes or Continuous.